When it comes to footwear I think I’m kind of known for going for solid stuff. You generally won’t see me in anything lightweight or made of synthetics or anything silly like flip-flops. I have running shoes for running, and a pair of old Crocs for taking out compost and collecting produce from the greenhouse (shock horror, top menswear blogger admits to owning a pair of Crocs!). 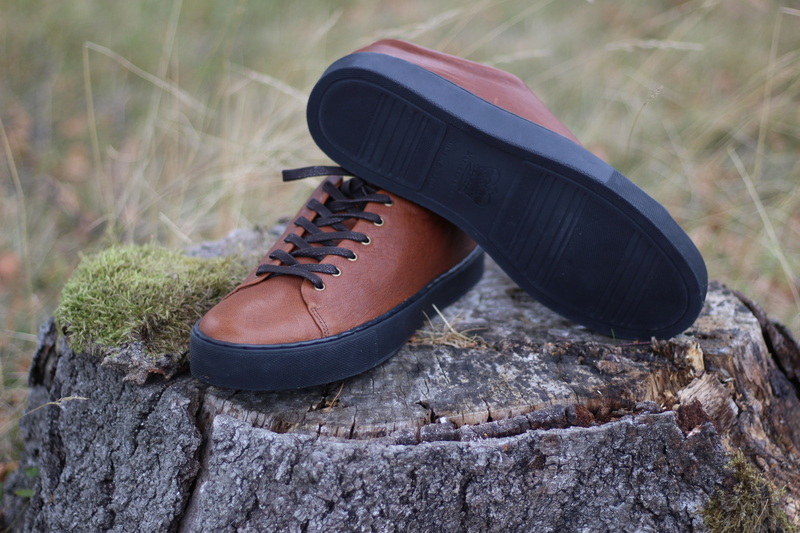 In general, though my footwear tends to be thick leather, stiff construction, brogued, ruggedly soled and, well, to be quite honest, while a fine choice for general use, not the most comfortable for days when many urban miles are to be walked. Hence why I’ve had so much use and enjoyment from my sneakers by Crown Northampton. 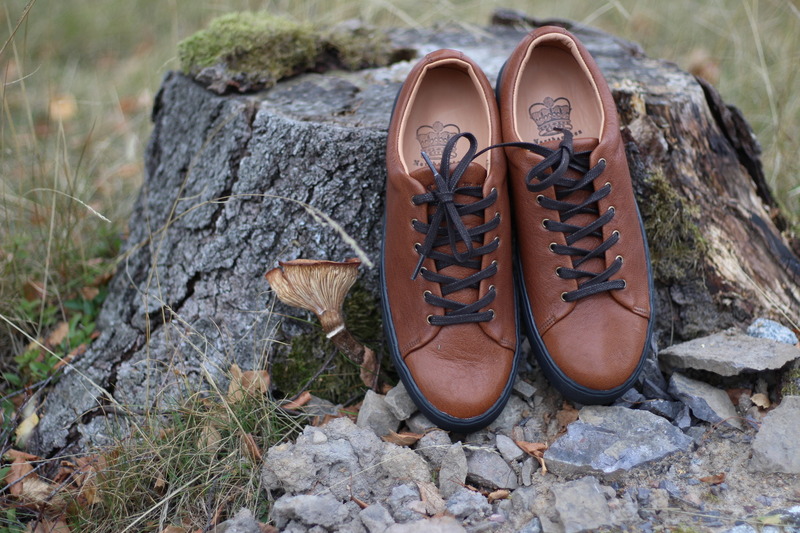 When I first became aware of them I was a little sceptical, after all, sneakers and trainers are not my thing. I know, you’re thinking “Nick, get over yourself, they’re shoes and you’re the one saying screw the rules”, and you’re right. Hence I was swayed by them being made in Northampton at a shoe factory that’s been in business since 1908, they’re properly made of leather and the sole looked very comfortable. And it turned out they were really good. So good that I’d like to say I’ve worn them so much, especially on city holidays, that I’ve worn them out. Only, I haven’t, as they’re incredibly hard wearing. I’m the classic heel-edge scrubber and there is barely a mark on these. And they are just immensely comfortable, even after a long day trudging the mean streets. Today’s story though isn’t about the previous collection, good as it is, but the new one. What’s new? This time it’s about the goats. 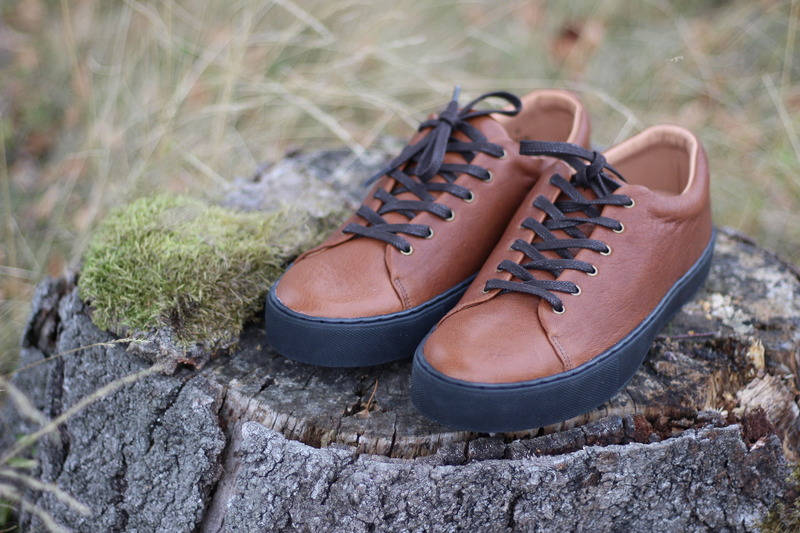 I wrote about Billy Tannery a while back when they ran a Kickstarter aiming to start a micro-tannery to tan goat hides to make products from goat leather. It was great to see them succeed in their crowdfunding and follow their progress since. With their tannery up and running, they’re now having products made, and collaboration with other makers. And now it’s about sneakers, so who better to work with than Crown Northampton? The design does get appreciative looks though. 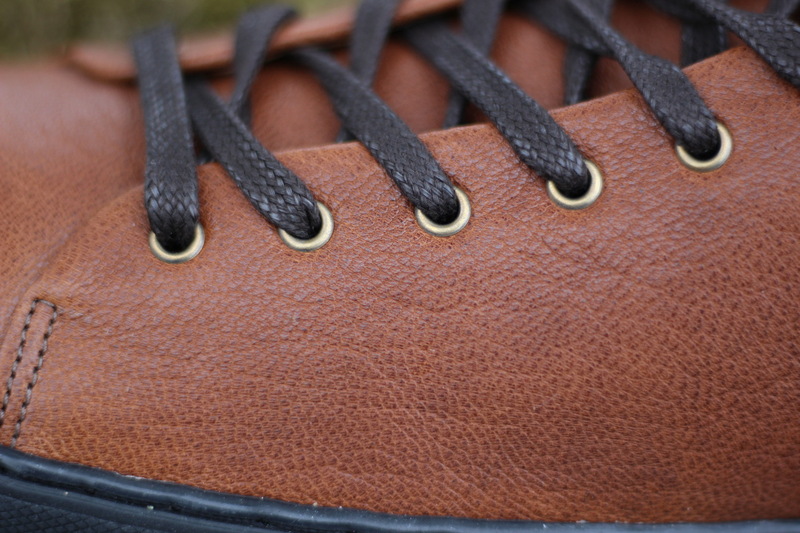 That thick sole, the lack of fuss, the copper eyelets and unbranded clean look. 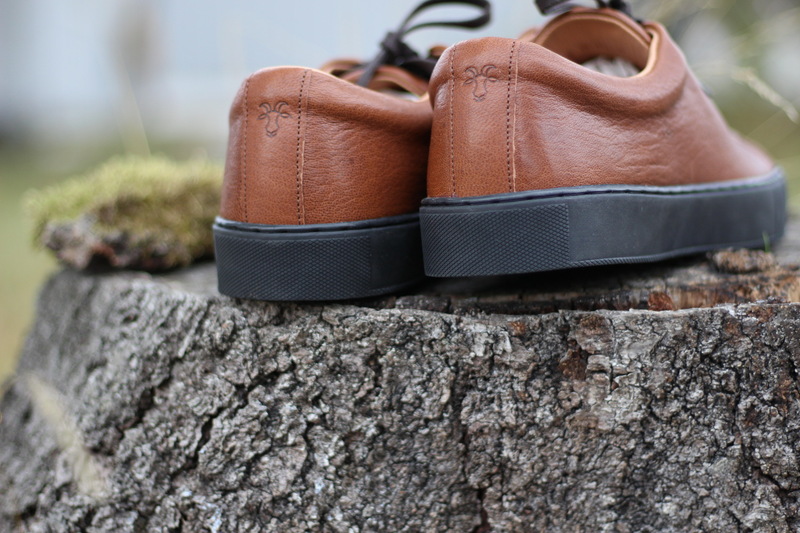 The only addition on these limited editions is the Billy Tannery logo on the heel. At the end of the day, it’s not a hard choice to make. Style wise they’re excellent (and I’d like to mention to any number of guys I see commuting in their suits and garish trainers about a possible upgrade) they are sufficiently rare to be totally dadsplainable, the price is fair and they can be returned to Northampton for a fresh sole, thus ensuring a super long life. And speaking of life, even the goats are into this, as a lot more of them are actually being allowed a life. Billy Tannery is taking pre-orders for these now at 235 pounds a pair. First come, first served. Available in brown, black and blu. The blue ones are lovely.